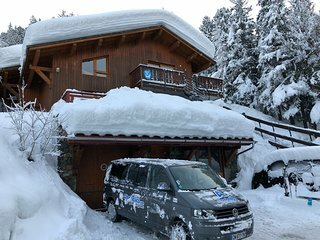 Having worked in the ski travel industry for the past 6 years, I plus a couple of mates were after a chilled out catered chalet and resort we could let our hair down in. 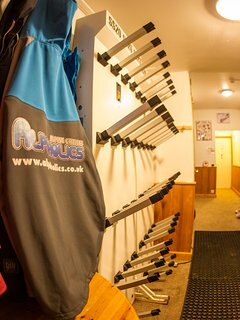 I’d heard about Alpoholics through a few friends that had stayed 2 years on the trot previously and subsequently all the tails of their escapades on and off the mountain! Needless to say we weren’t disappointed… As soon as we arrived we headed to La Mine, the local pub that soon became our second home for the week and which is only about a 5-10min stroll from the chalet. Charlie (The owner) met us soon after to guide us to the chalet, where we were welcomed by the other staff and an outstanding 3 course meal. 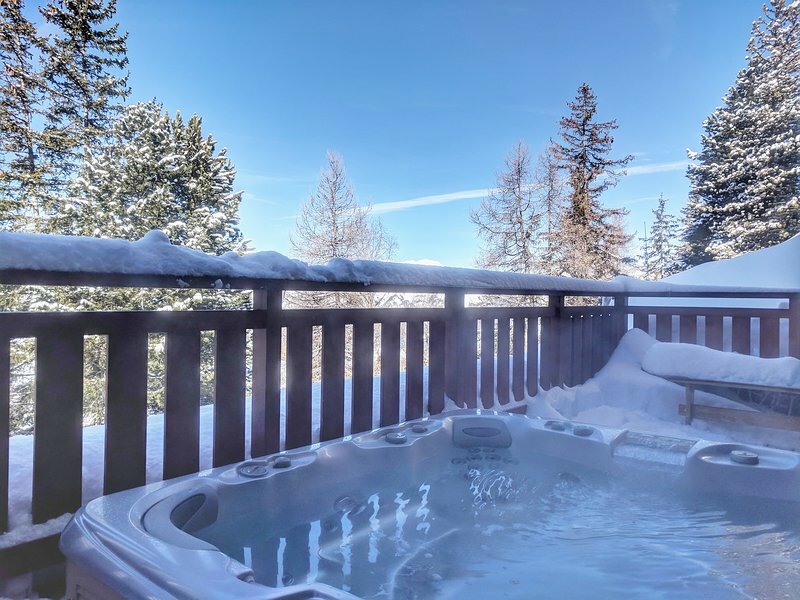 The Chalet itself is a decent size, accommodating guests over 4 floors, with the added benefit of a sauna and hot tub on the ground floor, ideal after a hard day on the slopes. The large open plan kitchen area is ideal for meal times as it means you’re not crammed in like sardines and is also perfect for large groups, families or solo travellers to relax and socialise in. Charlie was super helpful from the off, responding to our initial enquiry within a few hours, helping arrange our lift passes before arrival as well as advising which board (from his rather large Bataleon quiver) would be best for the snow conditions. 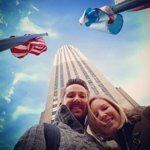 A truly epic week and one which I can’t wait to repeat next year! Chalet Orshanti is in a great spot in La Plagne 1800 - you're on a track that is a 5 minute walk (even in your ski boots) from the piste to ski down to a chair that takes you up to La Plagne Centre and beyond. You're also a 5 minute walk from the free bus if you're feeling lazy. It's easy to ski back to, even after a spot of apres, and then there's the huge hot tub and sauna waiting for you at the end of the day. The chalet is also about a 10 minute walk from La Mine for when you've drunk too much of the good wine that the Alpoholics crew serve at dinner to call it a night. It's a great chalet, our room was very spacious in comparison to other chalets I've stayed in - and the staff were great. I am taking the time to write this review, as I have been on many a catered chalet stay with complete strangers before. This however is like none of those stays that I have previously had to put up with. My first impressions where great. Charlie whilst being injured and back in the UK, managed to provide us with all the information and help that we required for our stay. Any issue, was not a problem for Alpoholics. We were late on arrival...by a few hours! This didn’t stop our transfer driver from offering us a bit of time to chill out from the flight and he was kind enough to stop for us to get some food. Upon arrival at the chalet, we were greeted by two friendly chalet hosts, who immediately took care of our bags and provided us with some well needed sustenance. Having damaged my foot a week before arriving, I had limited time on the slopes. This could have been a nightmare start to my holiday, but it turns out that the group we had staying with us were friendly, polite and were not afraid to mingle. Most nights would end up with us all going out as a group and with some helpful advice from the hosts, in regards to what was happening and where. We really didn’t have a single night of boredom. With a variety of different diets being present round the table, you would have thought that this could be a bit of a challenge for the two hosts (Mike & Steve). Apparently not. Both of these two would not look out of place in British bake off or some equivalent cooking show. We didn’t have to suffer the monotonous bore of pasta or your typically dry and inedible Victoria sponge. All in all I had a great time and I have pretty much rebooked my holiday for the same chalet same destination and hopefully the same staff for next year. I could not give these guys enough praise. Once you get off the slopes at the end of the day's skiing, your accommodation becomes the most important thing to you, because you're invariably knackered, and need a comfortable place to relax and rest. This was almost certainly the best ski trip I've ever been on, and in no small part due to the quality of the chalet, the care we were given by the staff who cooked for us, and the general comfort and convenience of the place. Plus, living with other guests for a week forges a very strong sense of camaraderie, and on more than one occasion we found ourselves skiing together during the days. This particular chalet has a sauna and a hot tub, which really sooth the muscles after a hard day's skiing. Perfect holiday, and I will be going back. 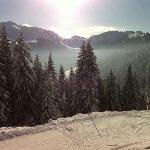 Looking for a place to stay in Savoie?